Relieves congestion and clears blocked nose. 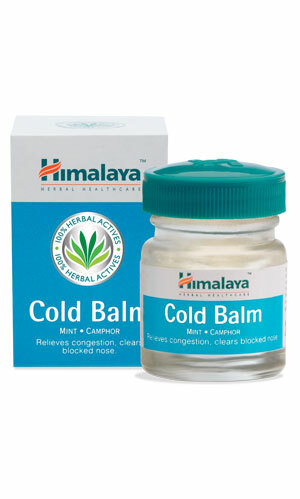 Himalaya Herbals Cold Relief Balm clears congestion and blocked nose and relieves headaches associated with colds. Apply Himalaya Herbals Cold Relief Balm on nose, throat, forehead, chest and back 2–3 times a day.